Product prices and availability are accurate as of 2019-04-04 06:21:07 EDT and are subject to change. Any price and availability information displayed on http://www.amazon.com/ at the time of purchase will apply to the purchase of this product. The BrassCraft 1/4 in. x 25 ft. 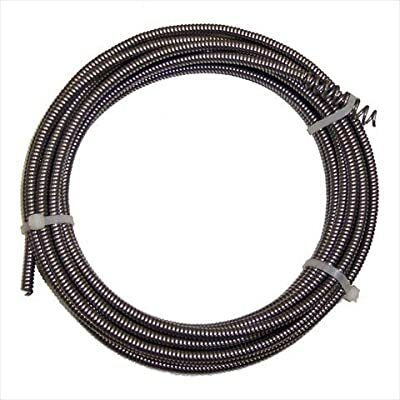 Drain Auger Cable is designed for use with BrassCraft Electric Spinner model BC110ES. This cable is made of music wire with a steel inner core that provides flexibility and good cleaning power.